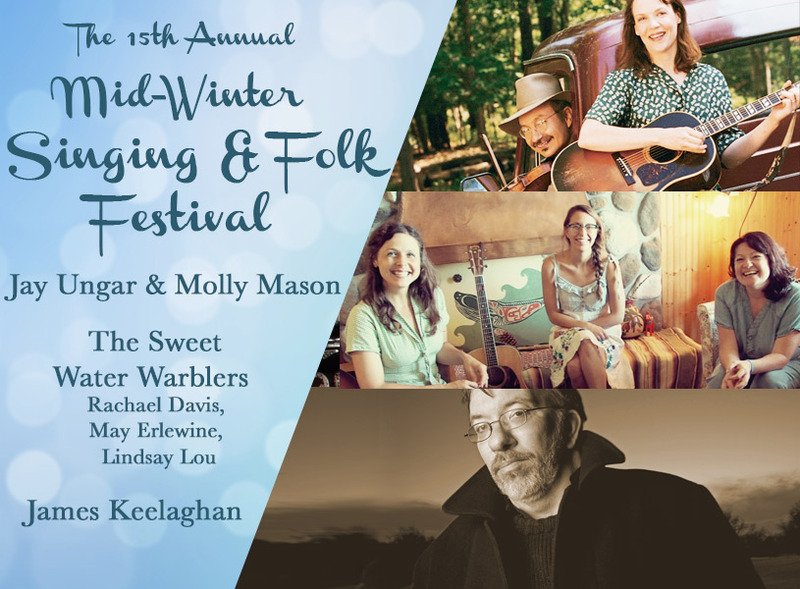 The 15th Annual Mid-Winter Singing and Folk Festival - Concert featuring 6 incredible songwriters. Doors open at of before 7 pm, folk festival starts at 7:30 pm (not 8 pm). Jay Ungar and Molly Mason achieved international acclaim when their performance of Jay’s composition, Ashokan Farewell, became the musical hallmark of Ken Burns’ The Civil War on PBS. The soundtrack won a Grammy and Ashokan Farewell was nominated for an Emmy. The piece was originally inspired by Jay & Molly’s Ashokan Fiddle & Dance Camps in New York’s Catskill Mountains, which are still going strong today. 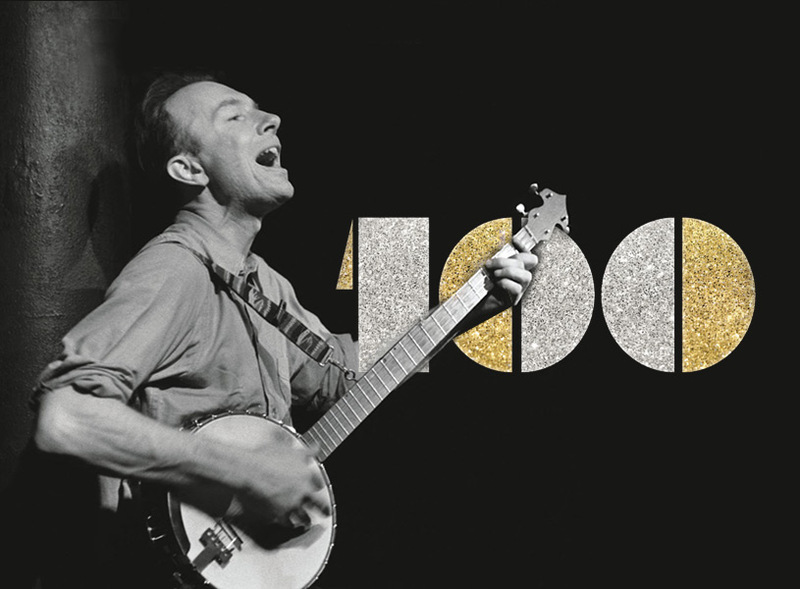 In recent years, Jay and Molly have reached an ever widening audience through their appearances on Great Performances, A Prairie Home Companion, their own public radio specials, and through their work on film soundtracks such as Brother’s Keeper, Legends of the Fall, and a host of Ken Burns’ PBS documentaries. They’ve had the honor of performing at the White House for two sitting Presidents and continue to tour extensively delighting audiences across the country. Imagine yourself as a bird in flight floating on the waves of a gentle fall breeze. Each sweep and plunge has the power to shake you and somehow still cradles you like the hum of a mother’s lullaby or the high of a southern gospel choir. This dynamic among fierce, tender, and strikingly familiar is what you can expect from the highly anticipated ensemble of these three front women and songbirds of the Earthwork Music Collective. Powerful singers and songwriters in their own bands, Rachael Davis (Shout Sister Shout, The Rachael Davis Band), Lindsay Lou (Lindsay Lou and The Flatbellys, Time & Luck) and May Erlewine (Seth & May, May Erlewine, and The Moonlighters) came together upon a festival organizer’s request for the first time as The Sweet Water Warblers in 2014 at the Hoxeyville Music Festival in Northern Michigan. After a couple of years of touring, writing and releasing records independently, they’re reuniting with a handful of co-written and hand selected songs for an intimate show that they’re bringing to the Lower Peninsula’s best acoustic music venues. Armed with a songbook that has enlightened and enthralled, and been embraced, by audiences around the world, Keelaghan’s life as an artist is one that is a perpetual journey. We are delighted that Keelaghan’s journey will bring him to the Ten Pound Fiddle for the Mid-Winter Singing and Folk Festival. $30 Floor, $20 Balcony (no student prices). Available online or at the festival box office - open all day starting at 10:30am.